Please complete the following information. You will be given the opportunity to add additional Keepsakes or other items to your order before the order is placed. Please tell us about your Wedding, Anniversary or Special Occasion. Make sure to use upper and lower case letters while completing this form. *Headlines are only available for dates from January 1, 1950 thru today. *If you are ordering for a FUTURE wedding, your order will be held until 1-2 weeks before that date, before it can be processed. Please provide the following information, if available. If you do not have this information, please enter N/A, or choose N/A from the pop-up list. Keepsakes can be specifically personalized to fit your special needs. NOTE: If you just want the standard information we normally provide, you do NOT need to use this area. 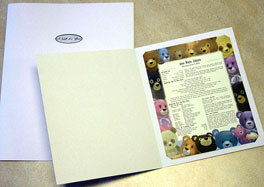 If this Keepsake is a gift, please tell us what you would like to say on the gift note. You have up to 3 lines and 30 characters per line. Wrapped in attractive gift papers finished off with a white chiffon bow. Placed in a photo folder with A Gift For You label. 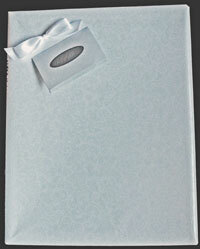 Folders are archival quality, and can be used to safely store your Keepsake for many years.